Alberto Balletti was born in Treviso (Italie) in 1968. He is graduates at the National Artistic High School in Treviso in 1986. Later in 1996, he gets his degree at the Art Institute in Guidizzolo (Mantova) in the Decoration section. In addition, he has two masters, one in Painting from the Brera Fine Arts Academy (Milano) in 1990 and one in Visual Arts Project and Production (CLASAV) from The Architecture Academic Institute in Venezia (IUAV) in 2003. Since 1990, he is etcher, photographer and movie maker describing himself as an …. amphibian artist. He shares his life and work between the Lake of Garda and Milano. 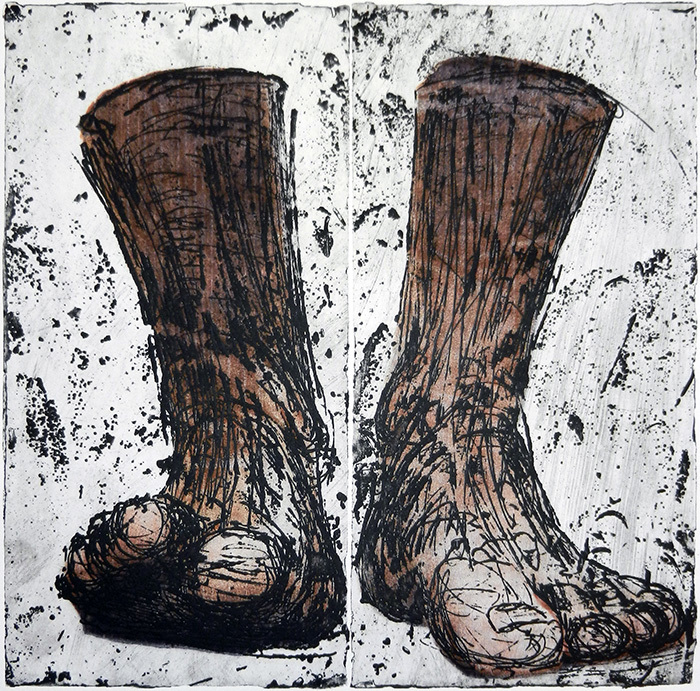 Since 1996, Alberto Balletti teaches etching in the Fine Arts Academies of Roma, Sassari, Napoli, Catania, Foggia, Venezia. 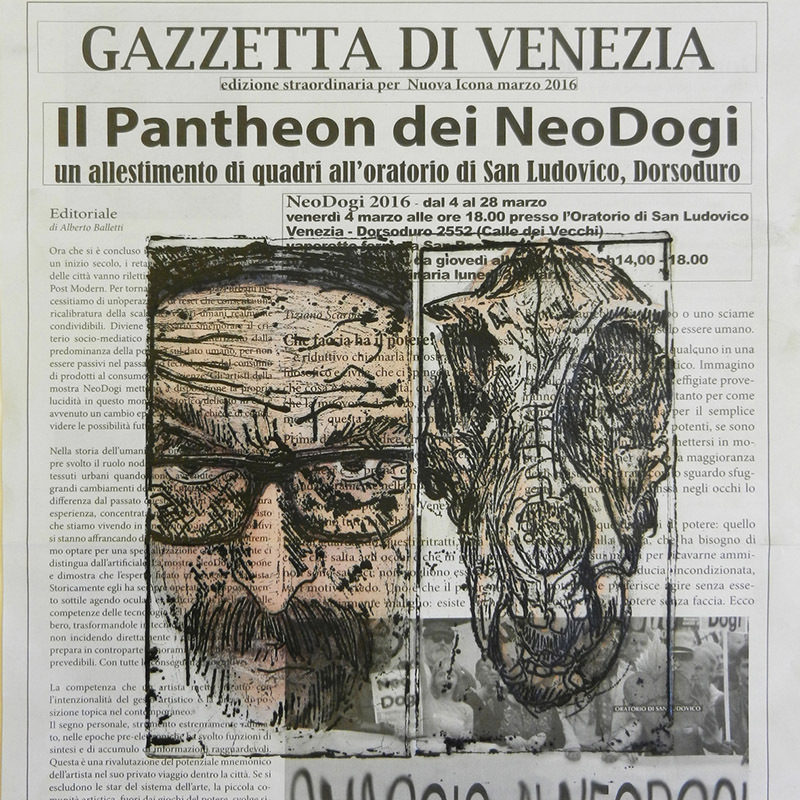 In 2007, he gets tenure and becomes professor at the Venezia Academy where he teaches both Calcography Etching Techniques and Art Book Publishing classes. From 2016 teach in Brera Fine Arts Academy (Milano). 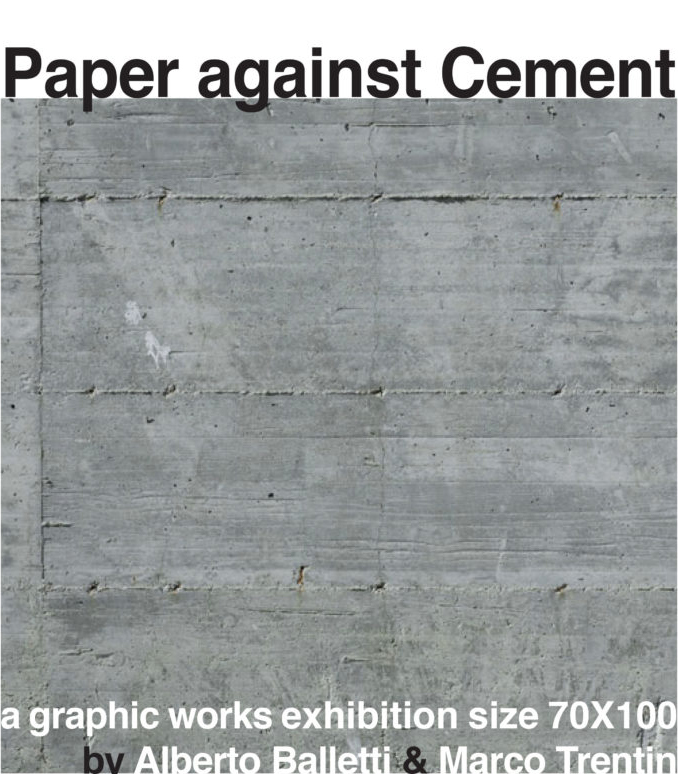 Between 1992 and 2004, young period of photo-digital research, he exhibits as a duo known as Balletti & Mercandilli (Alberto Balletti and Mauro Mercandelli), in the nineties, the pair will collaborate with major research of contemporary art galleries, among them Il Ponte Contemporanea in Roma, Fossati & The Box in Torino and Neon in Bologna. In particular, he is part of the « XII Quadriennal National Art of Roma, Italy 1950-1990 » in 1996. His ongoing artistic activity brings him to get involved in many other experiences. In 2000, he joins the Italy-United States International Exchange Workshop organized byt the atlantic Center for Florida Arts. 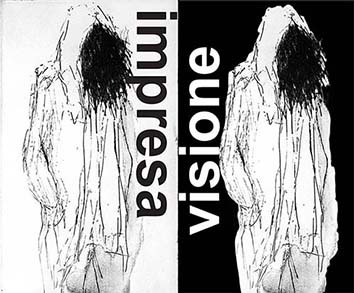 In 2004 he works with the Portesio Cultural Group Foundation in charge of organizing events linked to graphic arts. 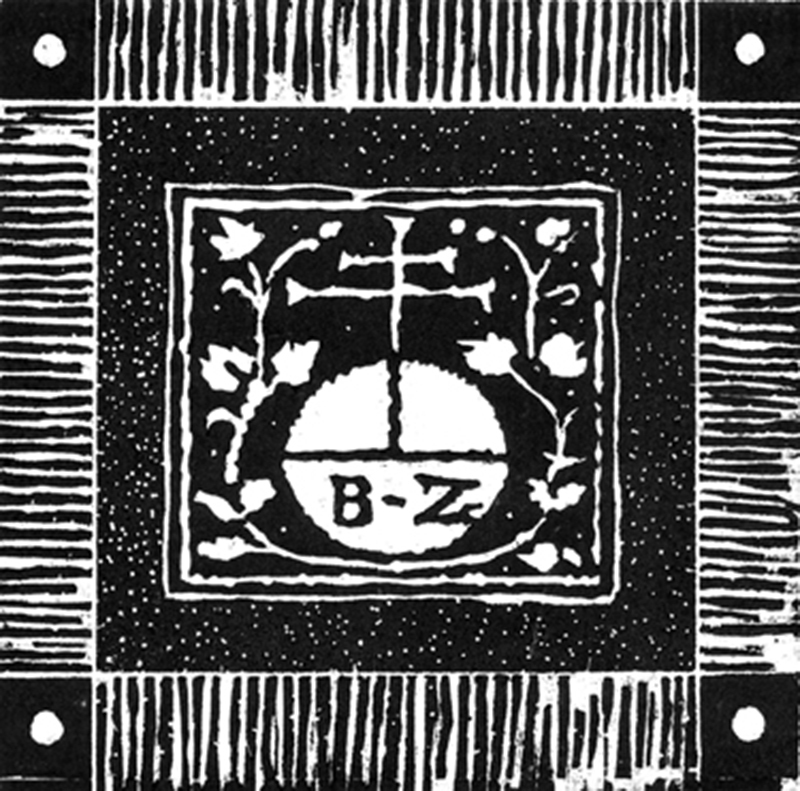 In 2008, Alberto Balletti is among the founders of the Permanent Collection of Graphic Art B.Z. of Portesio, S. Felice del Benaco, Brescia. 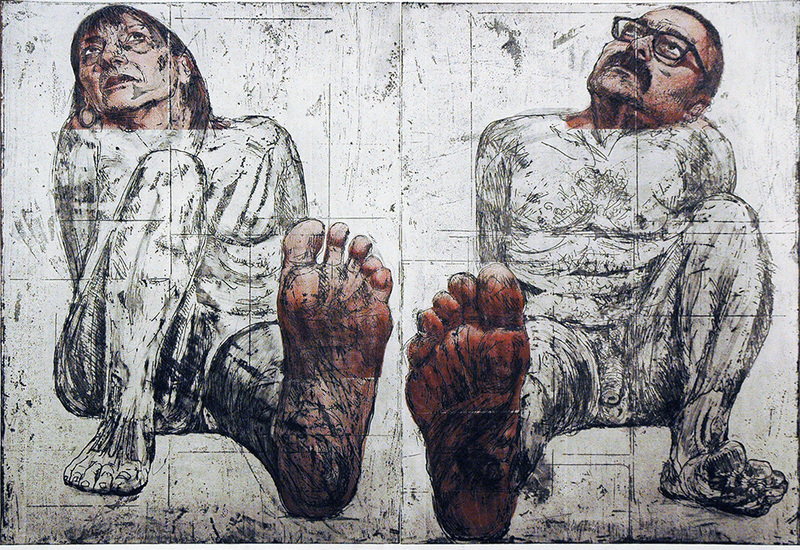 In 2011, Balletti is a resident for three months at the Center for Original Etching in Shenzhen, China. Two years later as part of the Erasmus Program, he teaches etching classes at the Fine Arts Acad- emy in Madrid University. Later, he joins different judjing panels for international etching Biennals (Uzice in Serbia, Verone, So a, Cremona, etc). 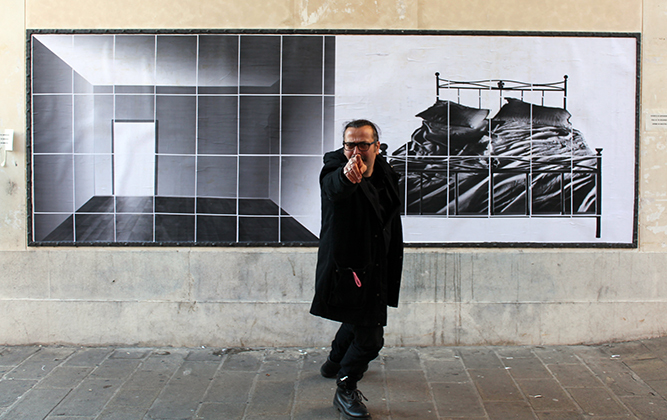 In 2015, Alberto Balletti creates, with Marina Guarneri, a visible magazine on Web. « Venezia Art Magazine ». Balletti’s line is particulary strong, sharp, energetic, vigorous, quick, and incisive, his etching com- positions are often dyptics leading largely beyond what they seem to represent. The « image » seen imprints lastingly in one’s soul. As written by Cinzia Bigliosi : « He still speaks the universal language of poets ». 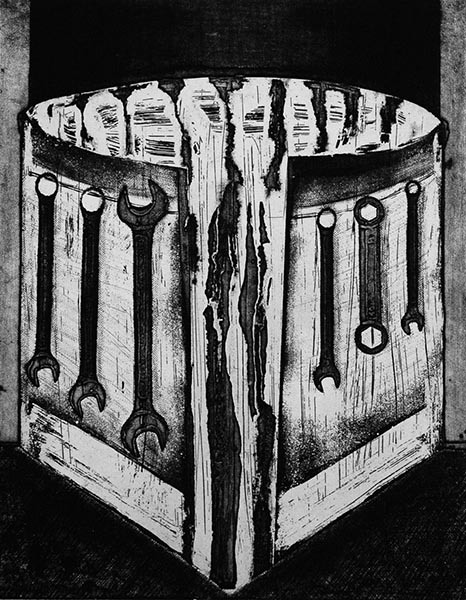 Extremely active since the early 90s, Alberto Balletti has been represented in many collective exhibitions related to etching and digilal print, in Italy and abroad. Part of his works belong to important of cial collections in Italy but also international. “The last works are the convergence point of my search poetic respect etching on iron and digital print (ink-jet). Some thing like a iron tickle. 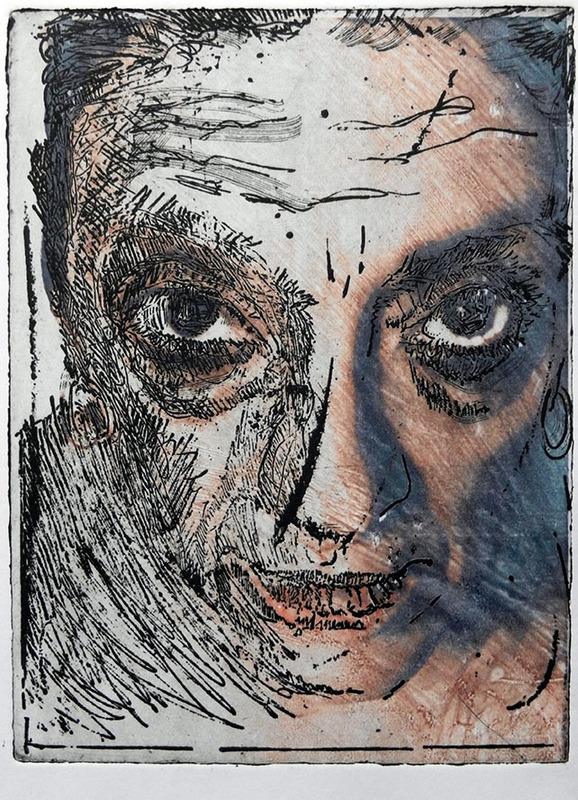 The rejoining among etching and digital print is analyzed in the series of images that connects the ink of the traditional printmaking to the ink-jet. My search in the works of the last years has had constant comparison in the international exposures of graphics. The dual and the diptych. The identity of the subject and his expansion in the dual. The hub of the human relationships is discovered and portrait in the instant of the comparison. The place of the comparison and its image reflected in the iron matrixes, are made to emerge in the comparison among faces, bodies, couples. The human being deprived of tinsels returns to speak a language of everybody: the bifocal look. I am lurked in a slow regret. This is the place where I will live to discover my next series of works. I know where the next signs will be regretted: in myself, inside of my self. Until today, in my search, I has always known about this place where the engraved signs await to be shaped. Just waiting for a glow that never comes. As in the works titled “stun Glow”. I have laid a trap there, digging under the skin, where shame doesn’t exist. It is there that people have often confined their forgotten bodies, as in an old junkyard. “junk Opposite” is a work series’ title. The emergence of the engraved signs rebuilds identity, starting from signs that reconstruct and contain sense. 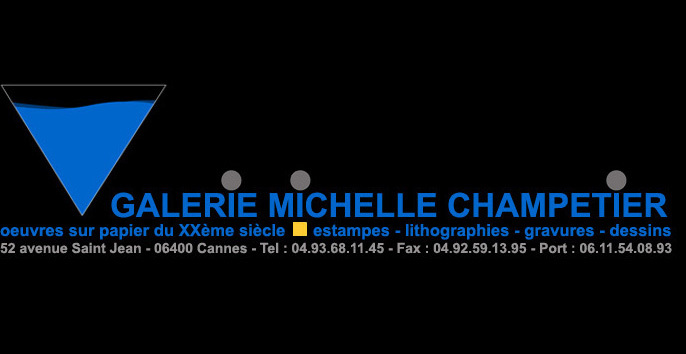 In order to develop into the last engraved signs that visually narrate faces. Through the looking glass we are distorted, but we must recognize ourselves. This truth is already written in our bones, but we are determined to deny it every day, like dead-end dogs. “Dog’s life” is a work series’ titled. I Biennale Adriatica di Arti Nuove, sezione Net Art, S.Benedetto del Tronto (PE), by Renato Bianchini, Stefano Schiavoni and Nina Vagic. 2018 Idee Vincenti, open innovation of Lottomatica, the project startup “Authclick” win 6 months of incubator to Polihub, Politecnico Milano. 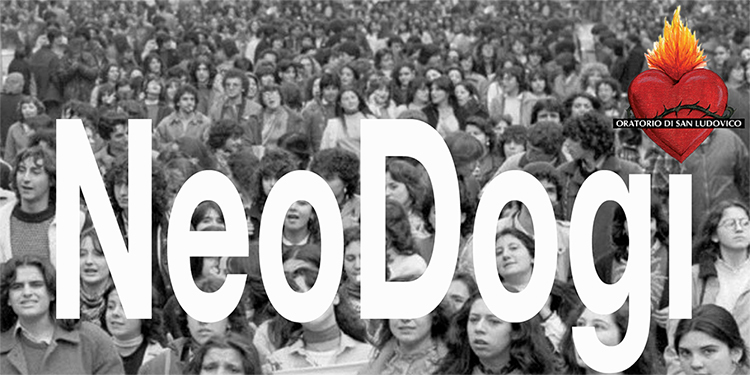 The new millennium open the necessity of a new responsability in the art system. From 2004 Alberto Balletti writes texts, organizes and set up opportunity of collective exhibition and at the same time the publishing of the catalogs of them. In these experiences was assisted by Marina Guarneri. “Artisti: solitari – uno sguardo dal ponte sul terzo millennio”, Silvana Ed., Roma 2008, by Achille Bonito Oliva.